When you’re needing Tulsa Christmas Lights, the experts at Green Leaf understand the wonder and excitement that a display of colorful lights and holiday decorations creates. There is hardly a better way to celebrate and honor the spirit of Christmas and the holiday season then there is with the magnificent light display that will all your neighbors, guests, and family. Don’t let the holiday spirit eluded you this year and let us help you out whether you are wanting something simple such as a glistening white light lining on your walkway and driveway, or you want to re-create says workshop on your front lawn, we can deliver. Call us today at 918-640-6405 and will be out there to give you a free lighting consultation customized for your home and business’s needs. Our technicians from the Tulsa area are very familiar with all of the neighborhood lighting trends where you live. We serve customers throughout Tulsa and we will hang all of your holiday lights and decorations, maintain it throughout the season, and will return to take it all down and prepare for storage until next year. Enjoy this holiday season and let someone else do the work when it comes to decorating the exterior of your home. Visit our website today for more information on all of our Tulsa Christmas Lights at www.greenleafweedcontrol.com. It’s time to meet Jamie Nix and Josh Mathias. They are the founders of Green Leaf Lawn and they are devoted to their craft in providing a wide variety of services to the people of Tulsa. We are so much more than just a lawn service and we had a wide variety of services that you can take advantage of no matter what time of year. We do everything from weed control and fertilization, flower bed maintenance, weekly lawn maintenance, hedge trimming and shaping, sod installation, leaf removal, small tree removal and planting, small shrub removal and planting, spring cleanup since capping, and fertilizing. No matter what time of year spring summer printer fall, we have the services you need to keep your home and driveway and lawn looking great. We do leaf cleanups from lawns and landscape beds, seasonal flowers and mulch, gutter cleaning, holiday lighting, and even snow shoveling for those cold winter months. We are also a responsible company that set up a program called “Cutting for the Kids” and it has been a huge success. Here at Green Leaf Lawn we have a passion for two things in life: work in kids. Because of this passion we decided that each new service we provide for customers just like you, will donate five dollars to the school district of your choice in the Tulsa area. It’s our way of keeping the city beautiful and also helping the future generations of our lovely town gain access to amazing education so that we can enrich the lives of those children in the future. Sure the holiday season is the most wonderful time of the year, unless of course you’re the one assigned to climb of the ladders and spend all of your hours untangling old lights. Why not eliminate all of those hassles and headaches by hiring a professional Christmas light ins dollar in Tulsa to complete your Christmas light installation for you. The hasslefree Tulsa Christmas Lights installation services that we offer will ensure that your Christmas decor looks great. Our Christmas lights pros are great at Christmas light installation and through our network of Christmas light hangers we offer Christmas decorating services across the Tulsa area. Whether you are a homeowner or you have a commercial property that needs Tulsa Christmas Lights installation, we can do that for you. Our Christmas light installers are ready to help you with anything you might need related to Christmas light installation. Give us a call today at 918-640-6405 or visit us online at www.greenleafweedcontrol.com if you want to learn how Green Leaf can help you this holiday season by beautifying the outside of your home with amazing lights. Green Leaf Lawn Service offers amazing holiday help whenever you need Christmas lighting, but they also have year-round services for all of your lawn care needs. We have over 10 years of professional experience under our belt and we have been providing lawncare service throughout the Tulsa area ever since we opened our doors. 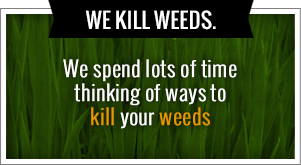 We offer services like mowing, holiday lighting, landscaping, weed killing, and much more. 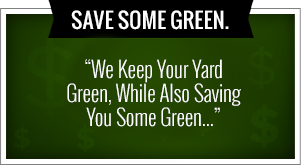 There is no other lawncare service that you can find in the Tulsa area that will bring you the rich, beautiful lawn you’ve always wanted, year-round. Our professionals are here to help you with any lawn project ideas that you may have and we can help you transform your home into a beautiful place that will truly stand out in your neighborhood. We also give free estimates and references can be provided upon request. Seasonal services by Greenleaf also provide snow removal services in which we will go out of our way to make sure that your driveway, sidewalk, and parking lot is completely cleared of snow before we’re done! We love being a responsible company that works hard to give back to the community. Both of our founders, Jamie Nix and Josh Mathias, our local boys who grew up in this area and have a heart for the city. That’s why we set up a program called “Cutting for the Kids” in which we donate five dollars to the local school district of your choice every time we start a new project in the Tulsa area. Our services help beautify the city and our charity efforts help young kids get the education they need so they can live amazing lives in the future. We believe that kids of today are the leaders of tomorrow, and we want to make sure they are taking care of.